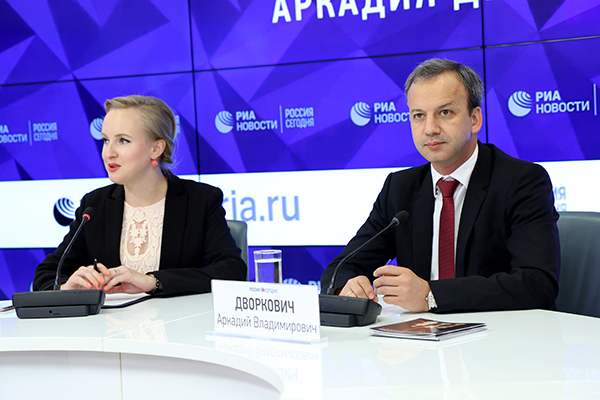 A press conference of FIDE President Arkady Dvorkovich was held in RIA Novosti on October 12th. The head of the World Chess Federation told about the FIDE presidential elections in Batumi and answered numerous questions of journalists. In particular, Dvorkovich shared his opinion about the Women’s World Championship in Khanty-Mansiysk and future changes in the Women’s World Championship cycle in general. “We have started the discussion of the possibility to change the Women’s World Championship Cycle. Now this title belongs to Ju Wenjun of China, she got it this spring. The next Women’s knock-out system tournament will be held in Khanty-Mansiysk in November. Either the same champion will remain or the new one will be announced. Of course, such a frequent change of world champions does not give this cycle enough credibility and high profile. We promised and we will keep our promise to improve this cycle and to make it similar to Men’s World Championship Cycle. This could be done in 2-year period. I hope in the nearest few weeks we will be ready to announce the specific changed that will be made. In any case, it will include the Candidate’s tournament and the Women’s World Championship Match. We will announce the exact dates and format a bit later. The forthcoming Women’s World Championship in Khanty-Mansiysk will be the beginning of this new cycle. The major decisions about it has already been taken”. 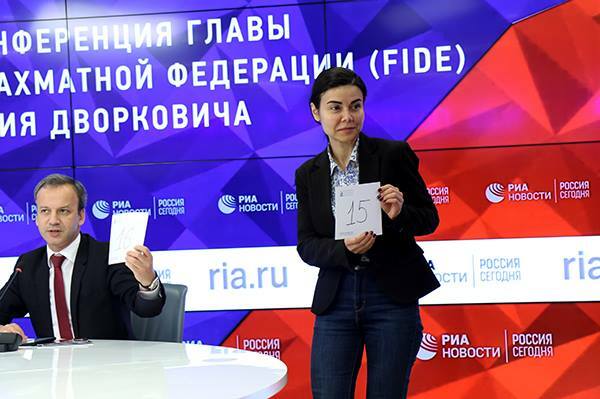 During the press conference, FIDE President determined (by drawing of lots) the starting numbers of the participants of the World Women’s Championship Zhansaya Abdumalik (Kazakhstan) and Nino Batsiashvili (Georgia) as well as Inna Gaponenko (Ukraine) and Marina Guseva (Russia) who have identical ratings and other additional criteria. Abdumalik got number 15, Batsiashvili – 16, Gaponenko – 33, and Guseva – 34.